Led technology is becoming increasingly popular and is now widely used not only to highlight bridges and buildings, but in most contemporary home interiors as well. However, when we think of led lighting, we still think of high-tech TV stands and media units, sometimes, fancy high-gloss coffee tables. Here are 4 convincing reasons why led lighting is a great addition to a more mundane furniture unit, such as a wardrobe . Its as simple as that — integrated led lighting lets you find the clothes you are looking for without having to delve endlessly in the contents of shelves and drawers. This ultimately leads to reducing mess and saves time you have to spend on organizing your clothes and keeping them in order. That is, if we are talking about internal led lights. External leds provide your room with one more source of lighting, in line with contemporary interior design trends, which is also great. Contemporary led technology lets you play with colours and lighting modes; you may achieve, for example, a flash light or strobe light effect and change the colour of illumination to red, blue or white. And if you want to create an atmosphere of cozy and romantic evening, you can select smooth lighting mode. The downside to it is owning one more remote control unit, but its totally worth it. 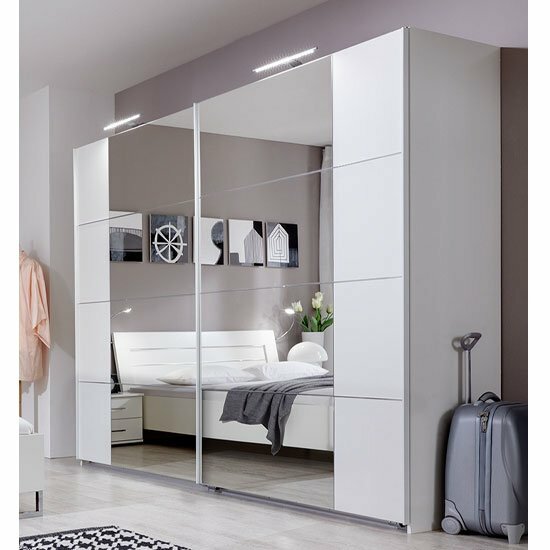 You will certainly find a wide range of wardrobes with led lighting in stores across the UK and abroad, but if you want to purchase a top-quality piece of furniture, it is always best to shop with big retail chains. Big stores tend to cooperate with renowned brands and trusted manufacturers, which accounts for their reliability and product quality. The example of such local UK chain is Furniture in Fashion . This store has an impressive product range and a top-notch selection of contemporary high-gloss furniture with led lighting. Moreover, 90% of their products advertised online are actually available in stock and you can always check them out in their showroom in Farnworth. The store delivers to all corners of the UK in 3 business days and regularly runs sales and clearances, so its always possible to nab a great discount.